I’m recently back from Scotland with fond memories of Edinburgh and Glasgow. We were so lucky that we had sunshine during our stay! 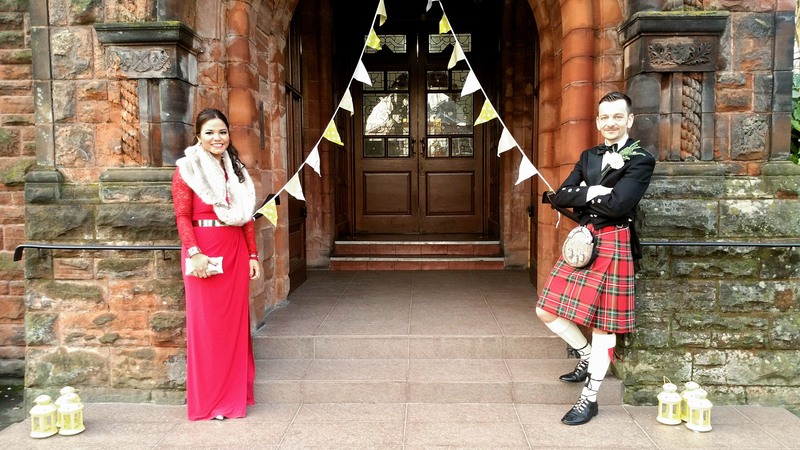 I just could not wait to share with you some pictures of my journey and a Scottish wedding of my boyfriend’s cousin we attended, which was the main reason of our travel. My boyfriend is actually half Spanish and half Scottish. Moreover he has family living in Scotland, specifically in Glasgow. Acabo de volver de Escocia con buenos recuerdos de Edimburgo y Glasgow. ¡Tuvimos la suerte de tener sol todos los días! Estaba impaciente por compartir con vosotros algunas fotos del viaje y también de la boda escocesa de la prima de mi novio que fue el motivo principal del viaje. Mi novio en realidad es medio español, medio escocés. Además una parte de su familia vive en Glasgow (Escocia). The last time I visited Scotland was in the Summer of 2012, when my boyfriend’s grandmother turned 80 years old. We had time to explore the Highlands (also seeing a tournament of the Highland Games), the Isle of Skye, the Loch Ness (well known for the mythical Loch Ness Monster “Nessie”), whisky distilleries, some Scottish castles and forts. La última vez que visité Escocia fue en el verano de 2012, cuando la abuela de mi novio cumplió 80 años. Tuvimos tiempo para explorar las Highlands (también asistí a un torneo de Highland Games), la Isla de Skye, el Lago Ness (conocido por el mítico monstruo de Loch Ness “Nessie”), destilerías de whisky, algunos castillos y fortalezas. At Loch Lomond and the Trossachs National Park (July 2012). This time we decided to visit Edinburgh. 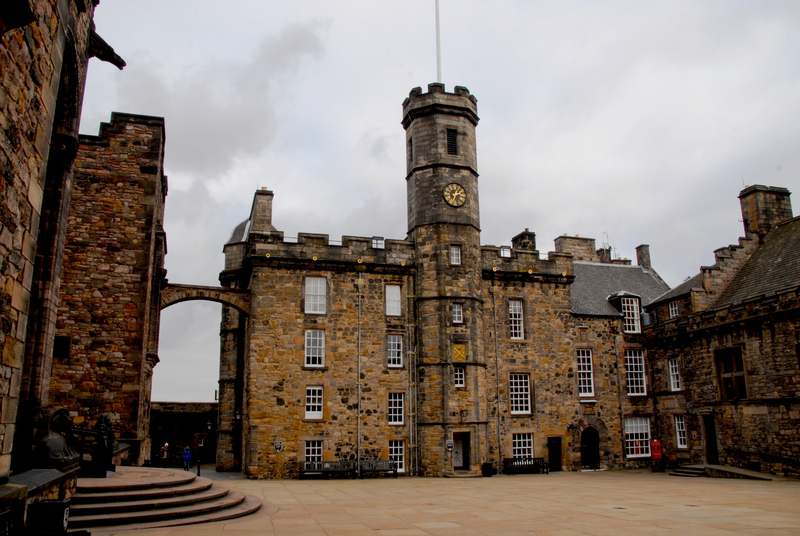 We visited the Edinburgh Castle which is a must-see attraction. This castle (built from the 12th until the 19th century) has been occupied countless of times and is one of the Britain’s most attacked castles. 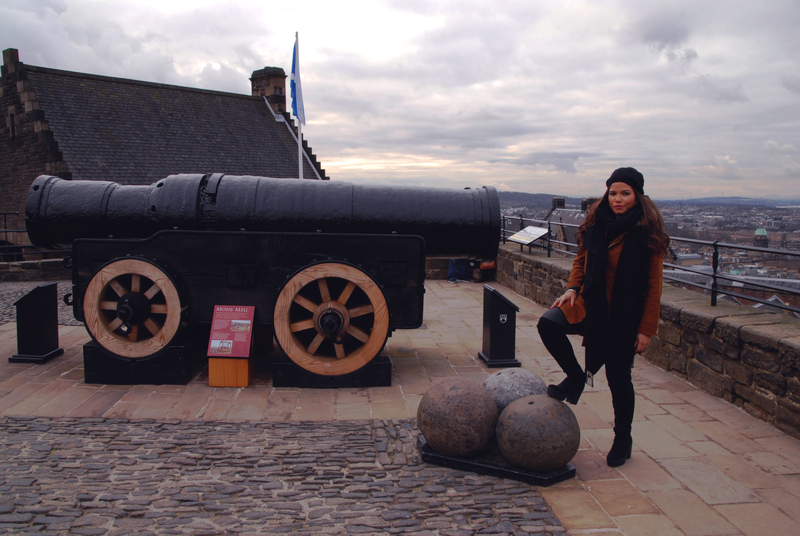 It’s no wonder that this castle holds one of the biggest cannons in the world, known as Mons Meg. But the highlight of this castle is the Scottish Crown Jewels (known as the Honours of Scotland), which consists of the Spectre, the Crown and the Sword. Furthermore there was a special stone kept along the crown jewels in a vault-like room (Crown Room), known as the Stone of Destiny, used during coronation ceremonies and symbolised the union of the monarch, the land and the people. The first kings of Scotland were crowned in a open-aired ceremony, during which the king would possibly sit on the Stone of Destiny. The castle has an amazing 360-degree view of the city of Edinburgh, the surrounding area, including the North Sea. It was built on a volcanic rock that dominates the city. Esta vez decidimos ir a Edimburgo. Visitamos el Castillo de Edimburgo, que no debes perderte si estas allí. Este castillo (construido durante el siglo XII y el XIX) ha sido conquistador en innumerables ocasiones, es uno de los castillos más atacados de Gran Bretaña. No es de extrañar que este castillo posee uno de los cañones más grandes del mundo, conocido como Mons Meg. Pero la atracción principal de este castillo son las Joyas de la Corona Escocesa (conocicadas como las Insignias de Escocia), las componen el Cetro, la Corona y la Espada. Además hay una piedra especial a lado de las joyas de la corona en una habitación acorazada, conocida como la Piedra del Destino, fue utilizada durante ceremonias de coronación y simbolizaba la unión de la monarquia, la tierra y el pueblo. Los primeros reyes de Escocia fueron coronados en ceremonias al aire libre en la que posiblemente el rey se sentaba en la Piedra del Destino. El castillo tiene una vista impresionante de 360 grados de la ciudad y alrededores, además se ve el Mar del Norte. Fue construido sobre una montaña volcánica que domina la ciudad. Near Mons Meg (about 6 tons) with its 180 kg cannonballs. The Royal Palace (Crown Square), where the Scottish Crown Jewels are kept. 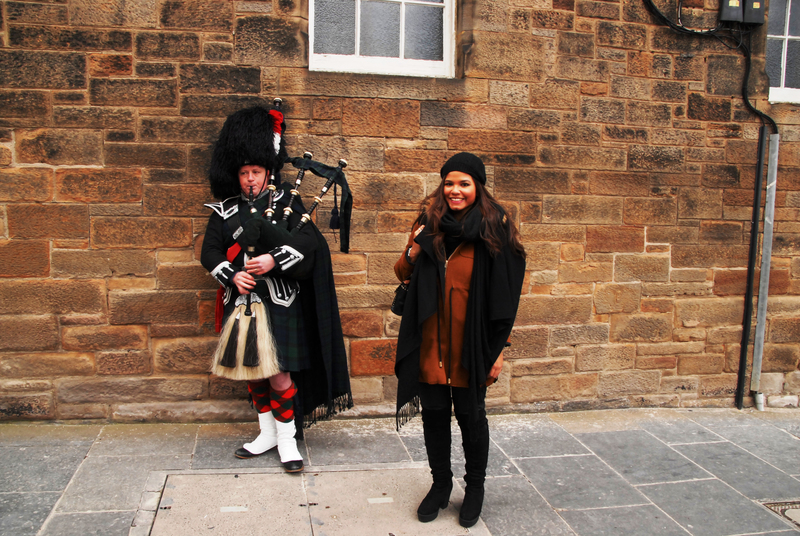 Posing with the Bagpipe Player at the Royal Mile street, Edinburgh. Before the wedding festivities we had a chance to explore a wee bit of Glasgow. We went to visit the Hunterian Museum and Art Gallery, located at the University of Glasgow, which offered a free guided tour at the Mackintosh House. This house is a recreation of Charles Rennie Mackintosh’s house. He is a well-known architect, designer and artist. The Mackintosh House (click here to check out the interior of the recreated house, since it was not allowed to take photos) was located in Southpark Avenue (Glasgow) and was demolished in the early 1960’s. They salvaged all the interiors as the exterior of the house was like any other house. The house had many pieces of furniture and features that Mackintosh and his wife Margaret Macdonald Mackintosh had designed. Interestingly, Mackintosh was ahead of his time, designing Art Nouveau pieces and particularly using Rose motifs in his designs (very notable due to the Scottish Movement during the 1880-1890’s). I’m a fervent lover of the Art Nouveau style, and I adored all the interior designs of their house. 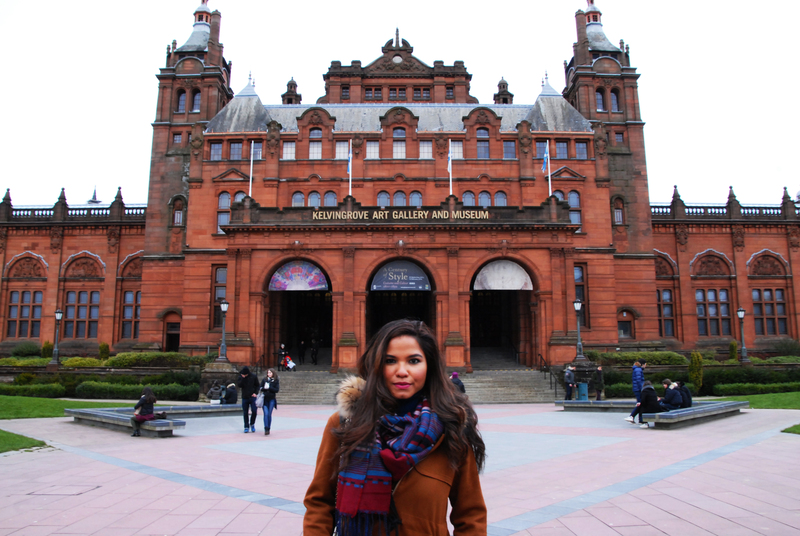 Glasgow has undoubtedly many art museums, and the Kelvingrove Art Gallery and Museum is another must-see museum. 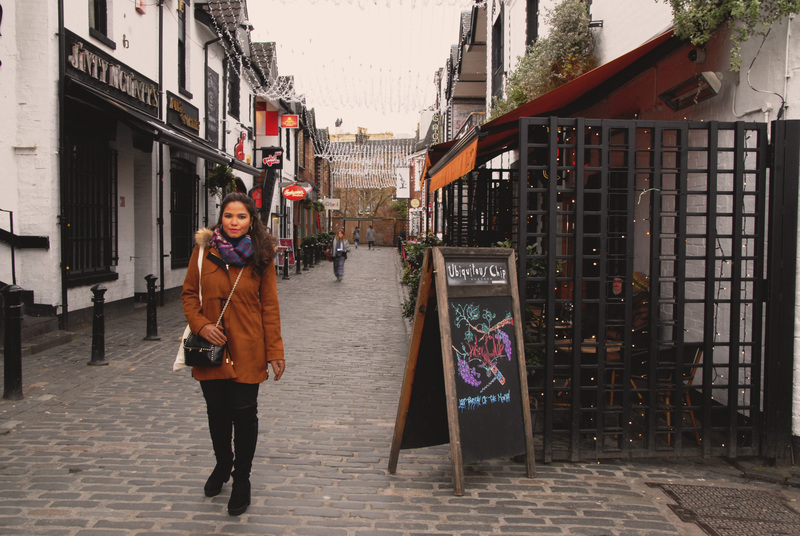 Antes de la boda visitamos un poquito Glasgow. Fuimos a visitar el Hunterian Museum and Art Gallery, ubicado en la Universidad de Glasgow, que ofrece una visita guiada y gratuita a la Casa de Mackintosh. 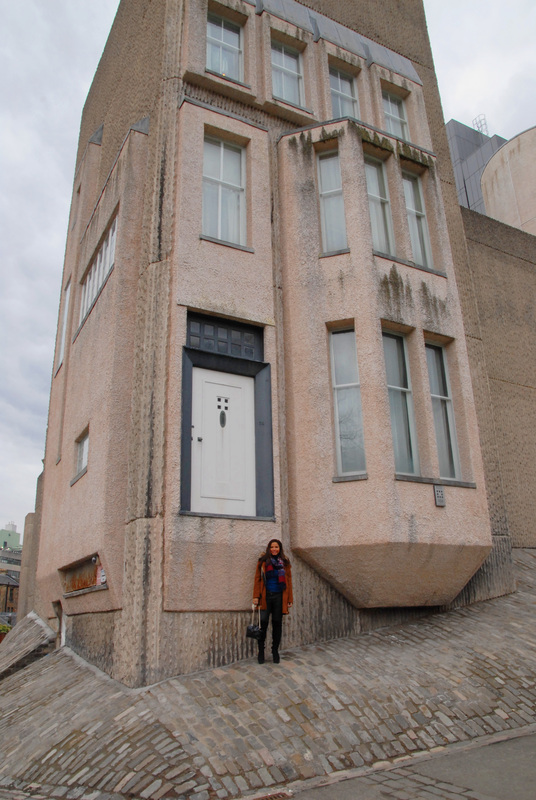 Esta casa es una recreación de la casa de Charles Rennie Mackintosh. Se trata de un conocido arquitecto, diseñador y artista escocés. La Mackintosh House (haz clic aquí para ver fotos del interior de la casa, ya que no esta permitido sacar fotos) estaba ubicada en la Avenida Southpark (Glasgow) y fue demolida al principio de los 60. Salvaron toda la parte interior porque el exterior de la casa era como cualquier otra casa. Tenía muchos muebles y características que Mackintosh y su esposa Margaret Macdonald Mackintosh diseñaron. Curiosamente, Mackintosh estaba adelantado a su epoca, diseñó piezas Art Nouveau y especialmente con motivos de rosas (muy notable debido al movimiento escocés durante 1880-1890). Soy una gran aficionada del estilo Art Nouveau, y me encantó todo el interior de esta casa. 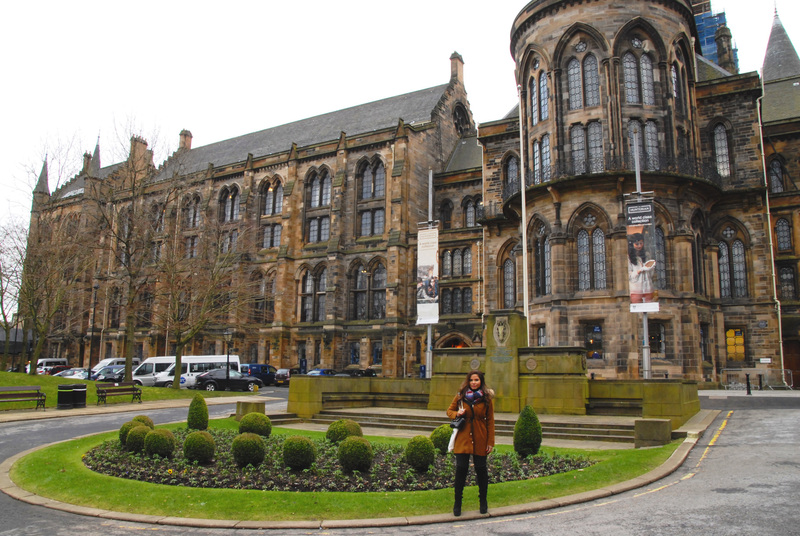 Glasgow tiene, sin duda, muchos puntos de interés, y el Kelvingrove Art Gallery and Museum es otra visita obligada. In front of the University of Glasgow. The Mackintosh House, which is connected to the The Hunterian Museum and Art Gallery, at the University of Glasgow. The interior looks way better than the outside of the house, I promise you! In front of the Kelvingrove Art Gallery and Museum. 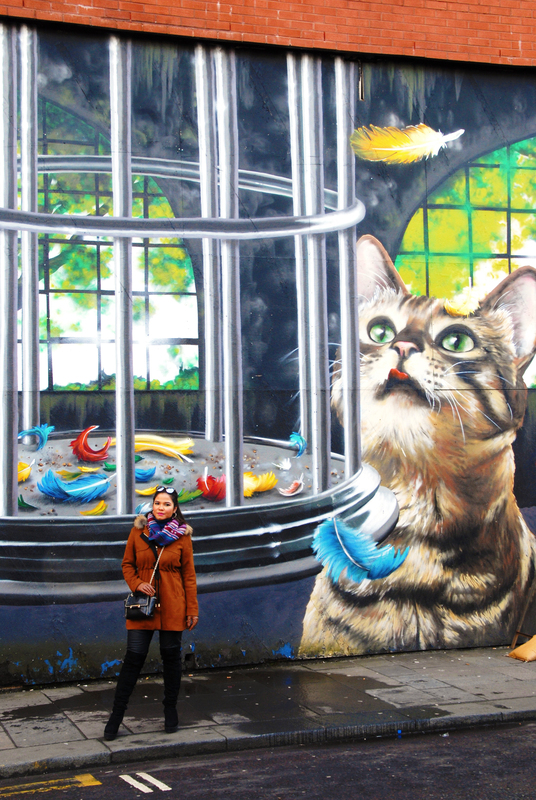 Amazing street art on the walls of the buildings at the Dunlop-Howard street, Glasgow. Checking out Ashton Lane, popular spot among students and residents because of its restaurants and bars (even has a cinema). The most wonderful part of this wedding celebration, which took place on the 27th of February at Pollokshields Burgh Hall (Glasgow), is witnessing the union of the bride (my boyfriend’s cousin) and the groom. They looked very much in love throughout the whole celebration. Their closest family members and friends gave speeches and read poems for the couple, which were very touching. 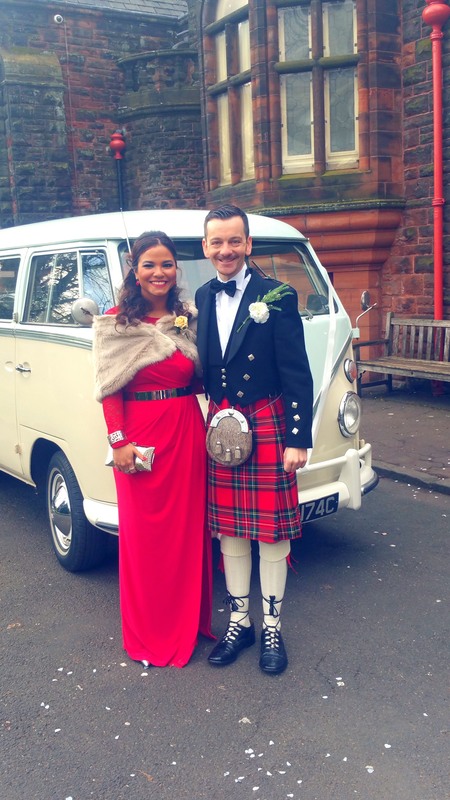 Although it was not a traditional Scottish wedding (no Scottish rituals nor bagpipes), even so men wore the traditional kilts, even my boyfriend wore one. As a true Scotsman he did not wear underpants! …hihihi… I must point out that the Scots sure know how to dance! It was definitely an unforgettable day for this charming couple. To conclude, I honestly enjoyed my short trip to Edinburgh and Glasgow (wish we stayed longer! 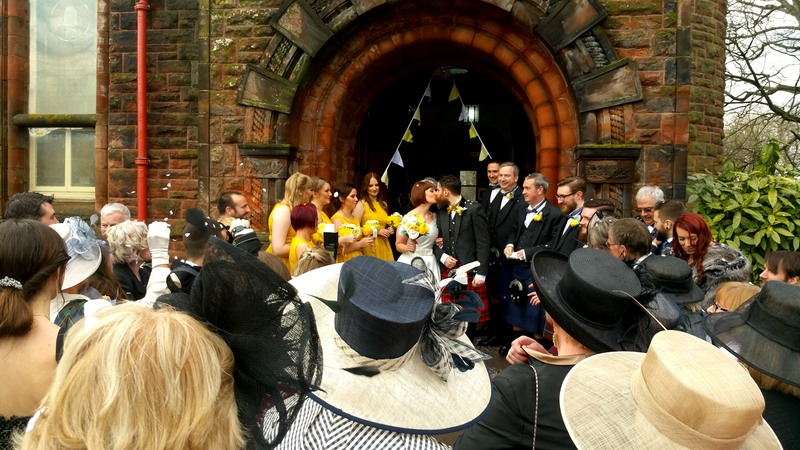 ), and especially being a part of a Scottish wedding has been a unique experience. ¡He dejado lo mejor para el final! 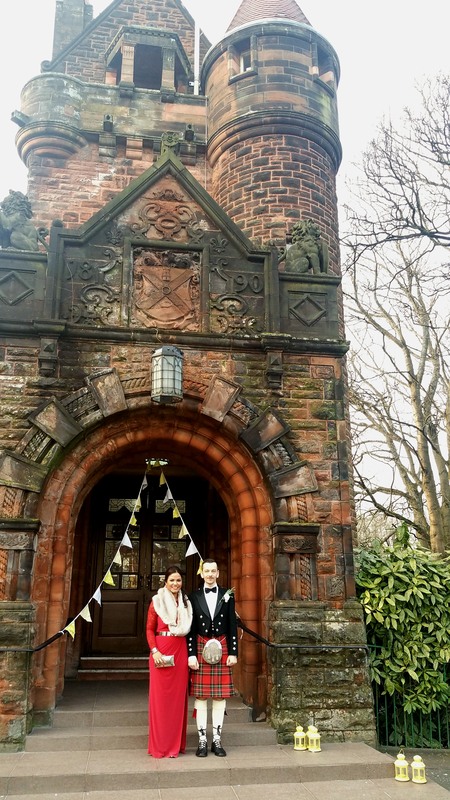 La más maravillosa parte de esta celebración, que tuvo lugar el 27 de febrero en Burgh Pollokshields Hall (Glasgow), fue presenciar la unión de la novia (la prima de mi novio) y el novio. Se les veia muy enamorados durante toda la celebración. Sus familiares y amigos más cercanos dieron discursos y leyeron poemas para la pareja, fue todo muy conmovedor. Aunque no era una boda escocesa tradicional (sin rituales escoceses ni música de gaitas), los hombres llevaban las tradicionales Kilt escoceses, incluso mi novio lo llevaba. ¡Como un verdadero escocés no llevó calzoncillos! …jijiji… Debo señalar que los escoceses saben bailar! Fue sin duda un día inolvidable para esta encantadora pareja. Para concluir, queria decir que sinceramente disfruté de mi corta visita a Edimburgo y Glasgow (deseaba quedarme más tiempo! ), y especialmente disfruté del hecho de formar parte de una boda escocesa. Ha sido una experiencia única. My boyfriend and I, outside the Burgh Pollokshields Hall, Glasgow. What I wore: Reeva Lace Sleeve Maxi Dress (Coast), faux fur scarf (Corte Inlgés), silver belt (David Christian), clutch (Paco Martínez), silver shoes which are not quite visible (Zara) and silver accessories. What he wore: Kilt (Royal Stewart), black bowtie, jacket, sporran, kilt pins, cufflinks, sgian dubh (Scottish knife), kilt socks, ghillie brogues (lace footwear). Posing with him in front of a Volkswagen van. We’re also smitten! …but don’t expect any wedding from us… yet! 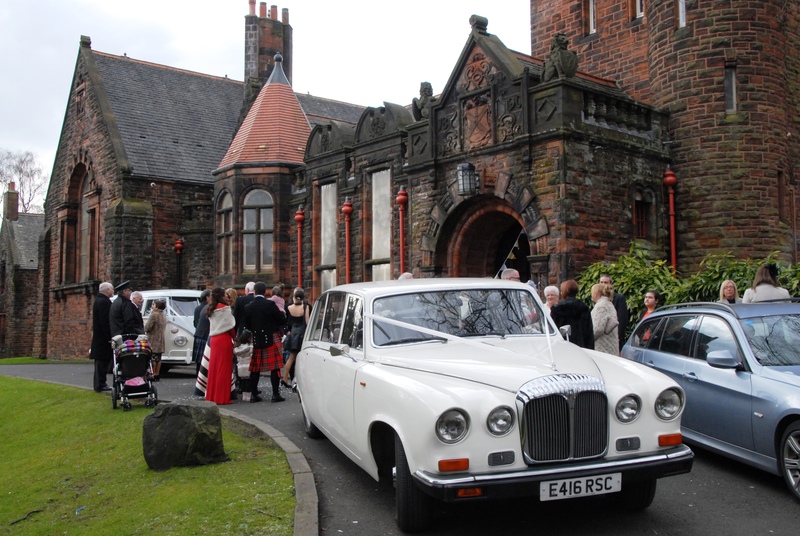 Waiting outside for the newlyweds at Burgh Pollokshields, Glasgow. Long Live the Newlyweds!!! / ¡¡¡Vivan los Novios!!! Beautiful pictures and story, loved them all, you look really beautiful in your red dress. Thanks for connecting that I was able to read this. Best wishes.